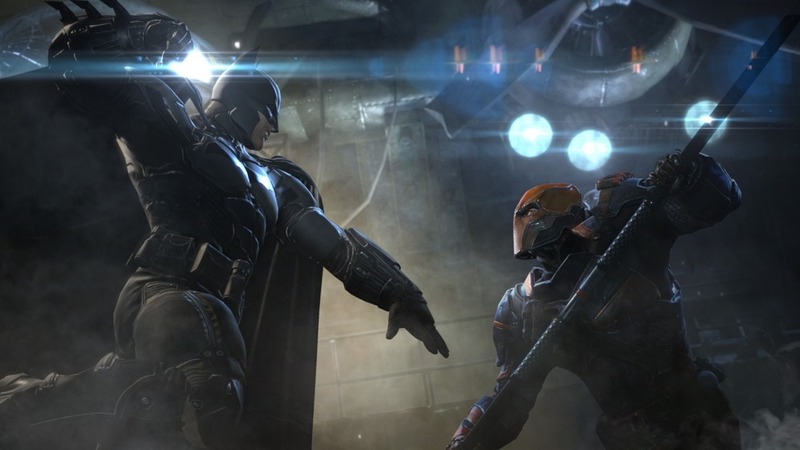 Arkham Origins was developed by Warner Brothers Games Montreal instead of Rocksteady Studios and it shows, mostly in the level of polish – or lack thereof. Arkham Origins plays like they played Arkham City and tried to imitate it, but didn’t really grasp the fundamentals. Combat feels disjointed and lacking the rhythm of past games in the series. Gotham City looks and feels almost exactly like Arkham City, which makes exploring it less inviting for veterans of Arkham City. I especially dislike that damned bridge you have to cross constantly. I’m not impressed by the story, and the missions are – like so much in Arkham Origins – very similar to the earlier games. Especially bad was the predator mission, which aped the equivalent mission in Arkham City, right down to a very similar monologue from Batman. Again, it’s like WB Montreal played Arkham City and decided to remake it, but couldn’t quite pull it off. The gear in the game is also largely the same which dampens the urge to work towards them. The graphics aren’t impressive either, and despite some DX11 goodies on PC doesn’t have the same charm that Arkham City did, partially because we’ve seen it before and also because games that have come out since then look even better, making the art style look stale. The sounds are ok, but I have to give credit to the new Batman and Joker voices. I wasn’t expecting to enjoy them, but they came off very well, and that’s especially impressive considering the shoes they had to fill. Batman Arkham Origins would have been better off as DLC for Arkham City because as a standalone title, it just doesn’t impress. There was the potential for a good game here but it retreads too much content and doesn’t set itself apart from the pack in any way.